There were a lot of reasons to doubt Nintendo in 2015. I’ve never been more worried about a major Mario release than I was for Super Mario Maker. Despite being indoctrinated since before Issue #1 of Nintendo Power, I still hadn’t learned to trust the plumber and I didn’t want Mario Maker to be half-assed. It’s hilarious now, because there’s never been more of a Nintendo’d Nintendo release than Super Mario Maker. Every little detail oozes that Nintendo charm, polish and playability. It shouldn’t be this easy to make a Mario level. It shouldn’t be this easy to make all kinda of Mario levels. Sure, the online tools suffer a bit from the negative side of Nintendo being Nintendo, but that didn’t stop level sharing from taking over the internet this year. 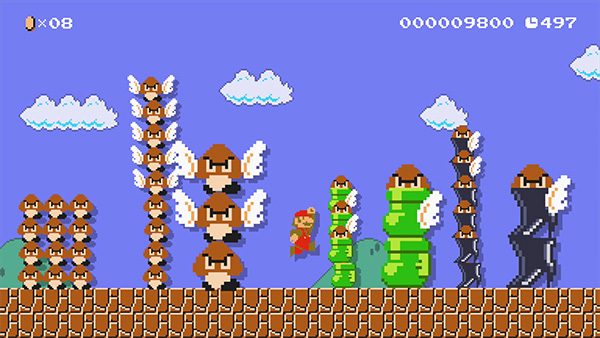 Even if making Marios isn’t your thing, just keeping up with the latest and greatest levels is like getting a new classic Mario game every week. Thanks for being more than we deserved, Super Mario Maker.